At 8:30 sharp the car departed from Vällingby. We did a small pit stop at Hakke Gård for lunch. 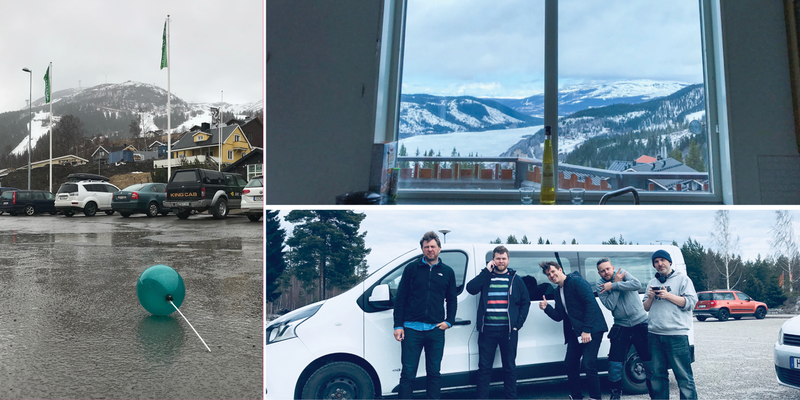 After eight long hours, we arrived in a gray and rainy Åre and drove up to the house. It was situated in one of Åre Björnen’s rent accommodation. A huge, beautiful house with a breathtaking view. Rest of the evening consisted of a proper Taco dinner, music, sauna and Silicon Valley as an ending of a long day. I have been sitting with Kristian in the morning and got to see how he works with developing a function making it possible to search and replace values in the database. QBank is a huge project so it's a lot to keep track of. After that Fredrik showed me when he added a tool for transferring ownership of, for example: media, folders and moodboards in QBank. This is useful for users who want to take ownership of other users who may have ended their account or left their company. Then the guys took over the kitchen for dinner time. A somewhat burnt vegetarian lasagna was the final outcome! We also lit a up the homie fireplace to make it a bit extra cozy when the rain was dripping outside the window. Wednesday I was pair programming with Björn to see how he worked with implementing the Google Vision API to QBank. 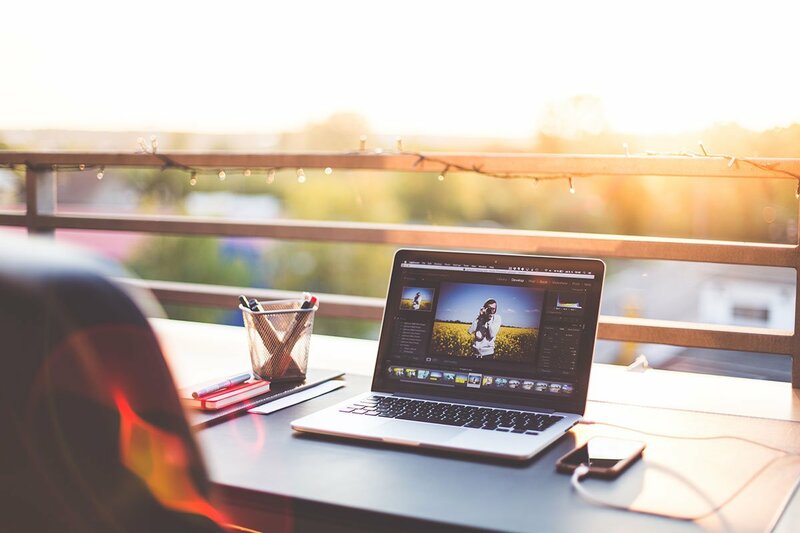 This will be useful for indexing media and in the future for example GDPR and recognizing people in images. In between learning interesting new technology from my colleagues, I had time to work on my current projects as well. Except from coding we had time for some team building and good times. One evening after dinner, I prepared a small yoga exercise to loosen up our limbs a bit. After that we worked for a while and finished with sauna. 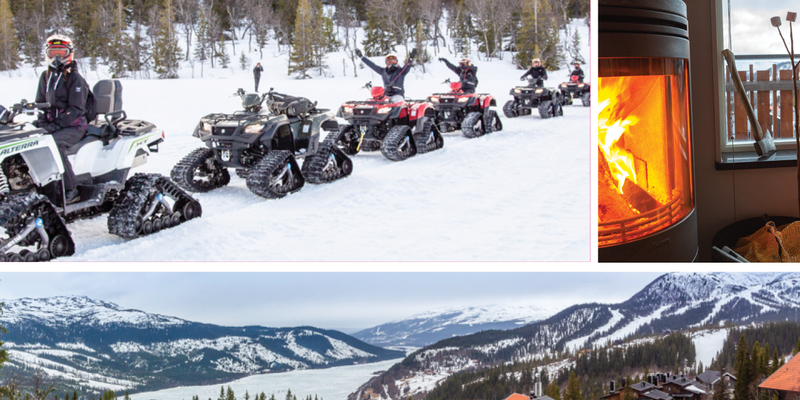 On Thursday we headed over to Rickard Fredriksson at Explore Åre AB (who is sponsored by our customer Klättermusen) for a trip on Snow Quads up to Fjället. It was a beautiful route and we were lucky to get some sunshine and also snow that held under our feet. After that we went to the Chocolate Factory where they had hundreds of different types of chocolate to choose from. At home, we continued to work and got a whole bunch of work done. We left Åre and had a long journey ahead of us. I drove halfway, which was fun as I take all the chances I get to drive in a lack of a car here in 08-county. 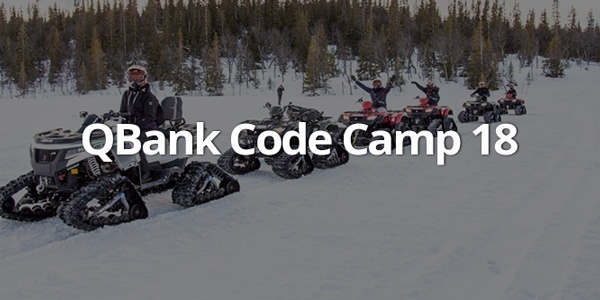 All in all, CodeCamp 2018 in Åre was a success! 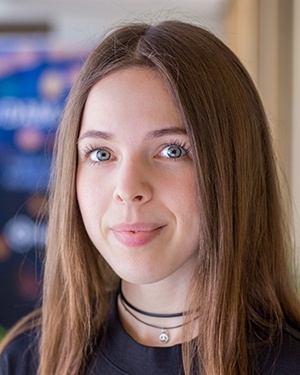 Charlotte, also known as Charlie is a Junior Web Developer at QBank. A creative soul who loves unicorn and DJ'ing.